Submissions on this proposal may be made from Tuesday 22 January to Monday 25 February 2019. 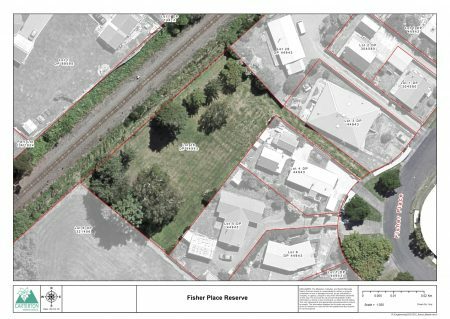 Carterton District Council hereby gives public notice under sections 24(2)(b) of the Reserves Act 1977 that it intends to consider a proposal to revoke the reserve status of the property situated in Fisher Place Carterton, being Lot 29, DP 44843 and comprising 2140 square metres. The recreation reserve was vested in Council in 1976 as the result of a subdivision. It is a rear section, located behind 45 Fisher Place and is enclosed by housing, vacant land and railway. It has only one legal access off Fisher Place. In 2015, Council made a resolution to gift ownership of the then Council housing units and the land (Fisher Place Reserve) to Carter Society Incorporated. Council is now starting the process to revoke the reserve status with aim of completing the transfer of ownership. The Department of Conservation (“DOC”) must give its approval to the revocation of the reserve status. A Council resolution and evidence of consultation are required to be submitted to DOC in order to process the revocation application. Submissions on this proposal may be made from Tuesday 22 January – Monday 25 February 2019. Supporting information is available from Council offices on Holloway Street, Carterton, or available here. If you have any questions about this proposal please contact Dave Gittings – Infrastructure, Services and Regulatory Manager, Carterton District Council.